Not everyone is keen on taking their feet off of the ground. Why would they be? Climbing up a ladder and planting feet on your roof is a scary prospect! One wrong step can send you tumbling down. If you are not a fan of altitude, let our Gorillas handle your Red Deer roof cleaning and moss removal. The surface of your roof is not designed for visitors. In fact, most roofs are designed to keep things off! The overall structural design might say “get off of me” but more often than not, debris is there to stay! Textured shingles, in particular hold on to lighter materials, helping them settle along the surface of your roof. Once organic debris settles, it does not do much of anything else. It sits, it takes away from the view of your space and it collects moisture. When you clear off the surface of your roof, you are removing more than just leaves and sticks. By removing clutter, you are also removing retained moisture, while improving the look of your property. Certain types of plant life thrive in moist or damp conditions and moss is a particular example of this. When left to its own devices, moss can spread rapidly across the surface of your roof and below. Moss can sneak underneath shingles, pulling them upward away from the decking underneath. When shingles are gone, there is nothing to protect the vulnerable or sensitive parts of your roof. This opens the door for significant water damage, pest or rodents infestation and the possibility for repairs or replacement. 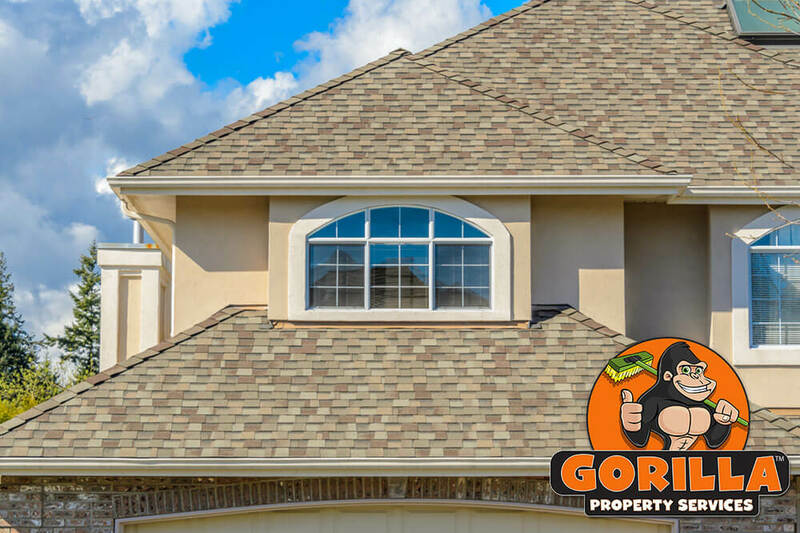 Gorilla technicians come prepared to not only clear away your roof and take away clutter, but to treat any moss that they find. 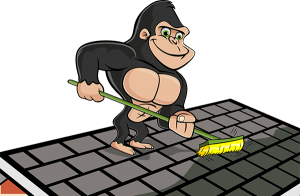 Instead of risking your health by climbing around a roof or risking the integrity of your roof with rough removal tools, call in a Gorilla. Gorilla technicians off quick, local service with great results.